*This is my StarMetro Beriyani post, with more pictures for viewing pleasure. We reached the restaurant at 1.30pm, and it was packed with people. 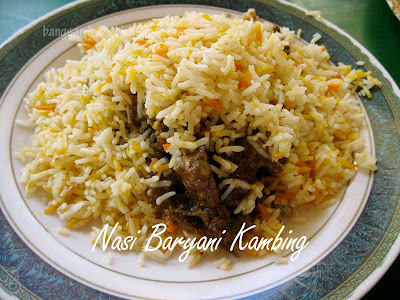 They had run out of bariani gam, so I settled for the nasi bariani daging (RM7). The beef was well cooked, softly flaky and infused with spices. Here, the rice was creamy, moist and springy to the touch. This dish was an amazing combination of aroma, texture and flavour, and I relished every bite. 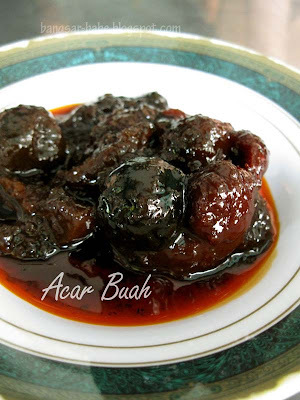 I love eating acar buah, so I ordered a plate (RM2.50) to go with my rice. The dalcar that came with the rice was really rich and flavoursome. I drenched my rice with it, and it was truly satisfying. 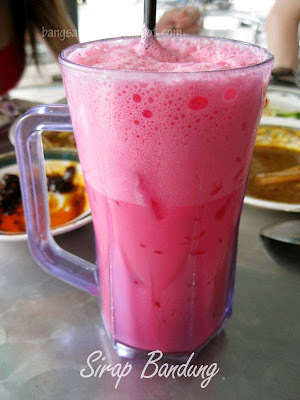 They do a mean sirap bandung (RM2.50) here, using ice-cream soda. It was thick, rich and fizzy all in one sip, unlike the sweet, milky version I had been drinking all this while. 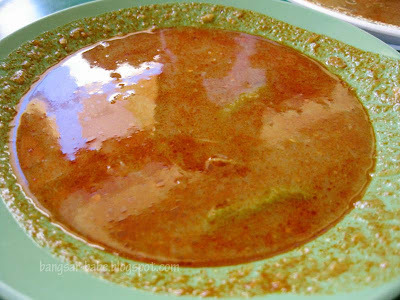 According to rif, sirap ban-dung should be made with rose syrup, evaporated milk and ice-cream soda. The evaporated milk makes the drink creamy, while the ice-cream soda gives it fizz and a vanilla flavour. I found the people at Bariani Power very arrogant, so do not expect service with a smile. 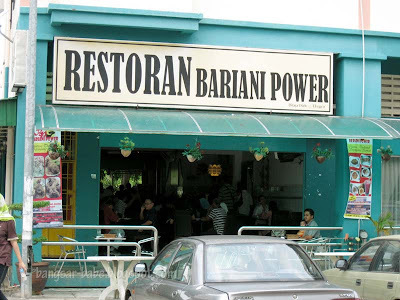 To summarise, both the beriyani were good, but the nasi beriyani from Bariani Power is tastier. 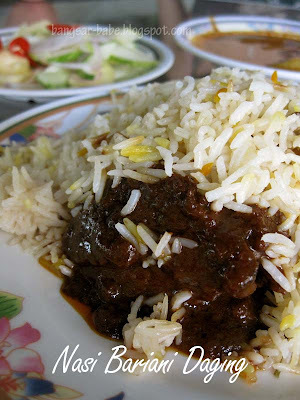 Would I drive all the way to Batu Pahat for nasi beriyani again? You bet! Verdict: If the rice was creamier, it would have been very good. 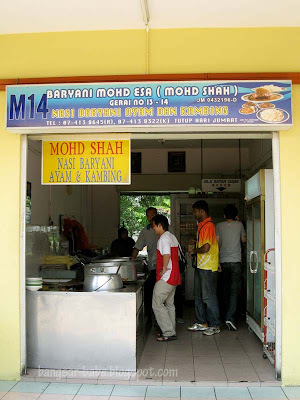 Verdict: Good nasi beriyani, but awful service. GPS coordinates: N 1 50.212 E 102 56.068. Sean – No la…it was a 2 1/2 hours drive there. Come lar…we go for a day trip! 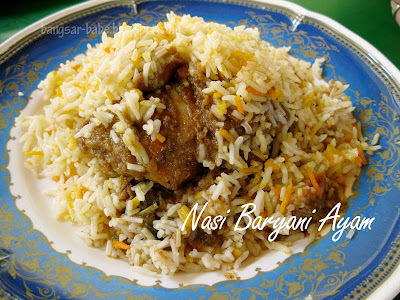 wow two rounds of nasi baryani in two hours!! ;D how did you manage to maintain your svelte figure!? ;P Anyway, I am going to follow in your footsteps to BP. Not sure if it is a suicide by baryani mission for me ;P Thanks for the leads. Not far from Bangsar, try go this house just during Friday prayer, if not mistaken between 11:30am to 2pm (if the beriani still available), located at No.6 Jalan 3/60, Seksyen 3, PJ. I’m die hard fan of beriani over there, nicer than ahmad shah batu pahat. 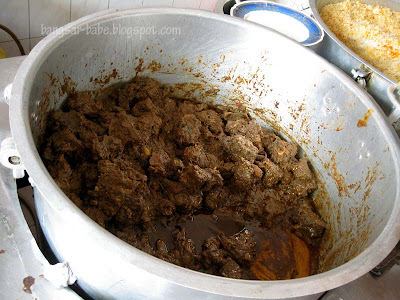 kambing beriani only rm10 with free flow cold syrup, beriani ayam i’m not sure, maybe at rm8. 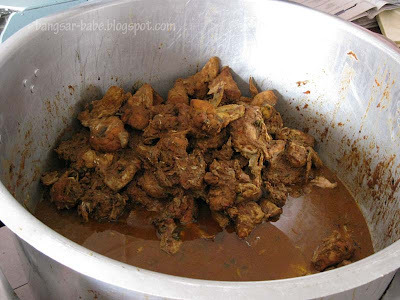 the lady only sell beriani ayam & kambing only on friday. the house located next to 4-way intersection.